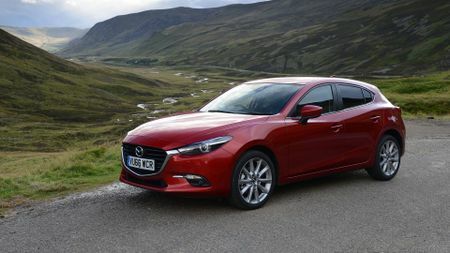 Mazda punches above its weight when it comes to family hatches, and has given the Mazda 3 key updates to continue its success. 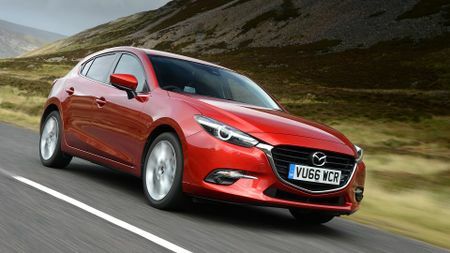 If your head says you need a sensible, efficient and refined family car, but your heart wants something fun to drive that’ll turn a few heads, the latest Mazda 3 is an excellent choice. Most of the stuff that might have put you off before has been put right, and only its slightly high list prices, and its relatively small boot count against it. The 2.2-litre engine is a great performer too – well worth a look. Car brands and smartphone makers thrive on the concept of ‘new’. The ultimate aim is to convince you that you really need the latest luxury item, when in reality, you probably don’t. Think of the 2017 Mazda 3 as the iPhone 6 S – not a full scale revolution, but a tempting raft of subtle changes to make it look a little sharper, drive a little better, and keep it neck-and-neck with the best cars in this highly competitive sector of the market. It has new technology, improved refinement, a higher-quality interior, and a few tricks borrowed from its bigger brother, the Mazda 6. Question is, should you upgrade? We test the 2.2-litre diesel SE-L model here in the UK to find out exactly that. 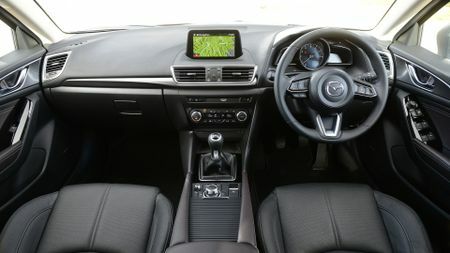 The Mazda 3 trades on three things: it’s really good to drive, it’ll stand out in any given car park thanks to the sharp design, and it is good value for money. None of those three pillars have been shaken for 2017. Only the most ardent Mazda enthusiast will be able to spot the visual changes, but despite being subtle, the tweaks are positive ones. The badge no longer interrupts the sharp line of the bonnet, the fog light clusters are bigger, featuring more chrome trim, and it has been given a more premium image courtesy of (optional) LED headlights, a colour-coded rear bumper instead of a grey plastic number, and indicators built-in to the sleek wing mirrors. On the road, the upgrades are equally small scale, but they do add up to a tangible difference. Thanks to some trickery in the engine bay, the excellent 2.2-litre diesel is now even quieter at low speeds, with less characteristic diesel rumble, and is a bit quicker to respond when you press on. It’s smooth, fast and quiet, but it’s the refinement you’re likely to notice most. At a 70mph cruise, the engine is all but inaudible, so it’s perhaps a shame that even with lots of new sound insulation, wind and road noise are not quite as isolated as the class best. The new 3 makes up for it on the road though. 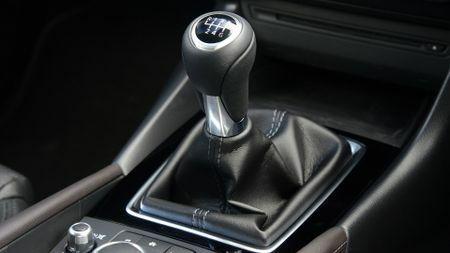 The steering is responsive, accurate and well-weighted, and the suspension (which is slightly firmer than on the average family car) means tidy body control through tricky corners, without spoiling ride comfort. 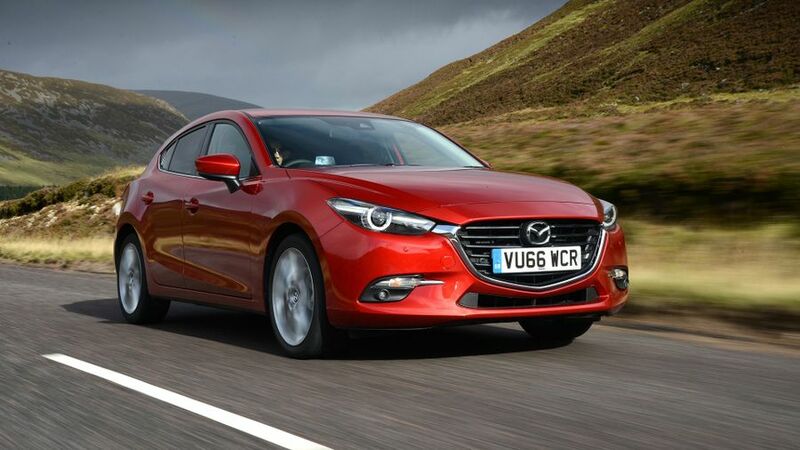 So far, so familiar then, but with recent new models including the Renault Megane and Vauxhall Astra lifting the standards buyers now expect from the cabins in this class, Mazda has also given the interior a necessary refresh. In some places that means better materials, including around the window switches, the frame of the 7.0-inch touch-screen display, and the buttons on the steering wheel, and in others it’s modernisation. 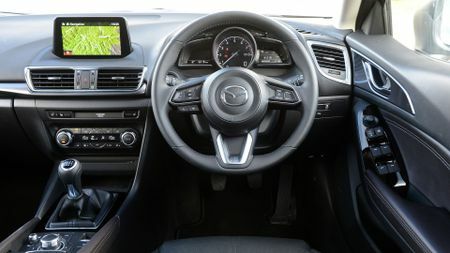 The handbrake is replaced with an electronic switch, freeing up room on the centre console for a bigger set of cup holders, and dials that are clearer and easier to read, while the head-up display standard on Sport Nav versions is now in colour, and higher-res. Despite the range of small, useful changes, the price rise for the latest ‘3’ is a very reasonable £200, depending on trim. 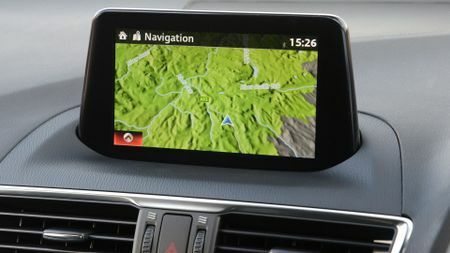 In the SE-L Nav trim we tried, the equipment levels are generous, which goes some way to justifying its price premium over, say, a Seat Leon. 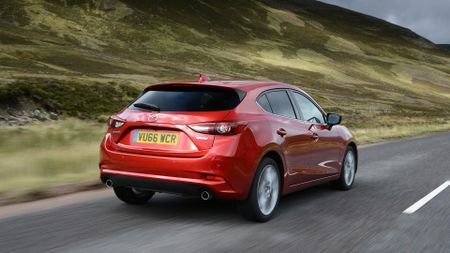 The 3 is still a great all-rounder, but the one area that might put you off is practicality – with a 350-litre boot, extending to 1,263 litres, the Mazda is not the roomiest family hatch, and space in the back, while reasonable for two adults, is well short of the class best. Still, we’d say the 2017 edition of the 3 does just enough to keep it close to the front of the pack, but if you already own one, you won’t be too upset – your car will still look, drive and perform a lot like the new one. Comfortable and decent to drive, the latest Astra boasts more on-board tech than Mazda, with Apple CarPlay, and Onstar online. A huge touchscreen display, very quiet diesel engines and stylish design set the new Megane apart, but it’s not as fun as the ‘3’. An excellent all-rounder that remains good value, the Leon has a punchier 2.0-litre diesel, but its cabin is a little dull by comparison.